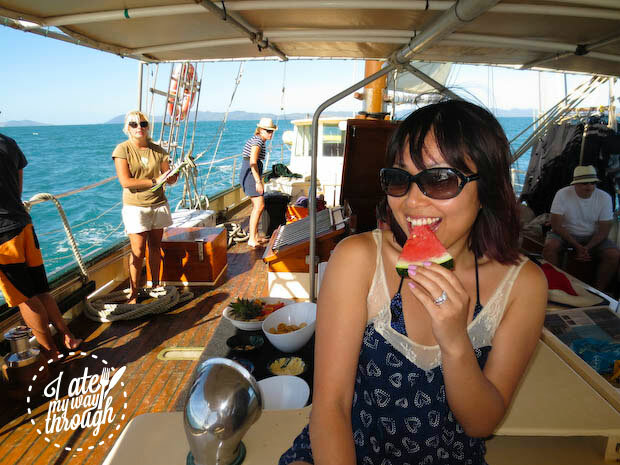 One of the most unforgettable experiences of my recent Whitsundays trip would be this day trip on the Derwent Hunter. 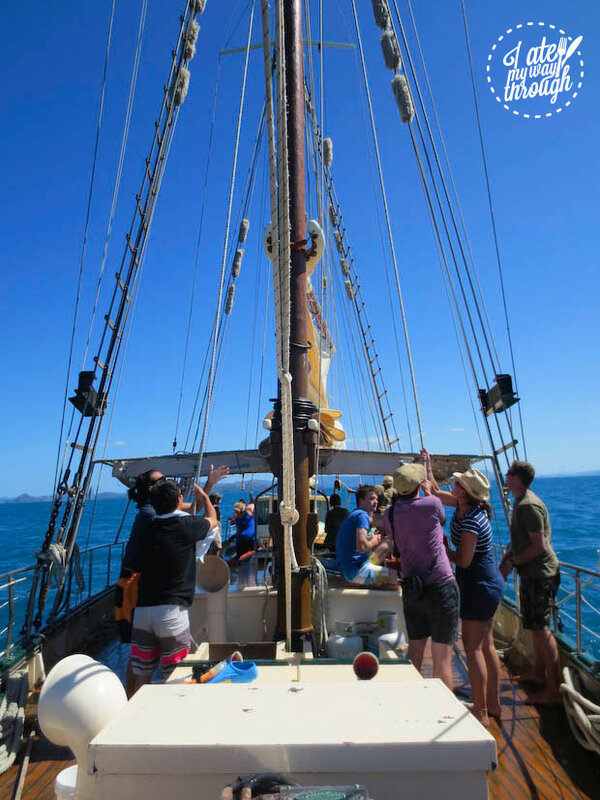 Operated by Eco Tall Ship Adventures, the Derwent Hunter has a noble presence on the turquoise waters of the Whitsundays. It is said to be the last original Australian vessel designed and built to work under sail. 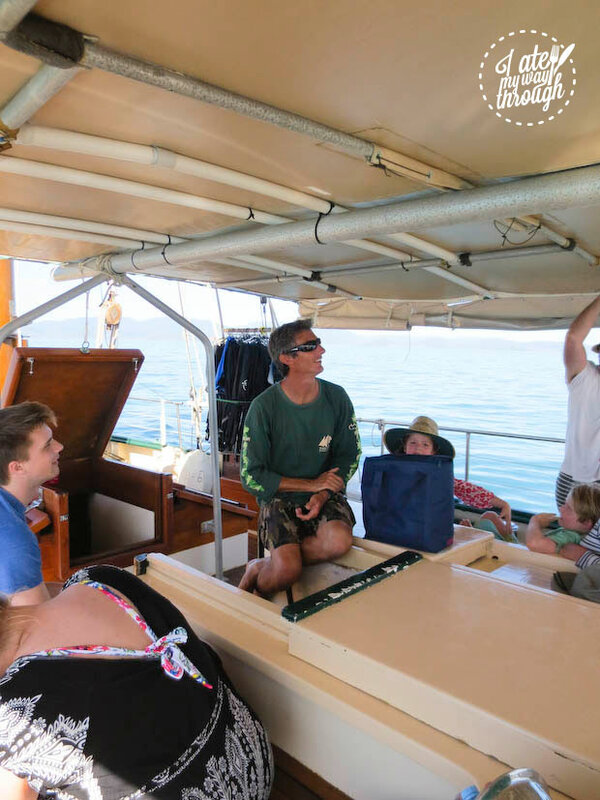 As we sail off from Abell Point Marina, across the Whitsunday passage, captain Dave enlightens us about Derwent Hunter’s colourful history. Initially designed to work at Bass Strait, it went from fishing and trading to oceanographic research, where it was used months at a time for 10 years. It then played a role in Australian TV series, The Rovers, as Pacific Lady. Some time after that, it became a cargo ship with “pharmaceuticals” hidden in the walls, was sold to an abalone fishing company, then used as a spectator vessel at the America’s Cup and eventually was involved with corporate entertaining via a property developer. 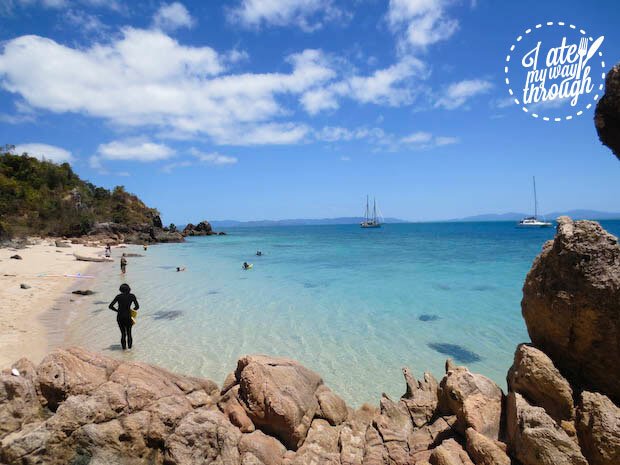 And now here it is, playing its role in tourism at the Whitsundays. 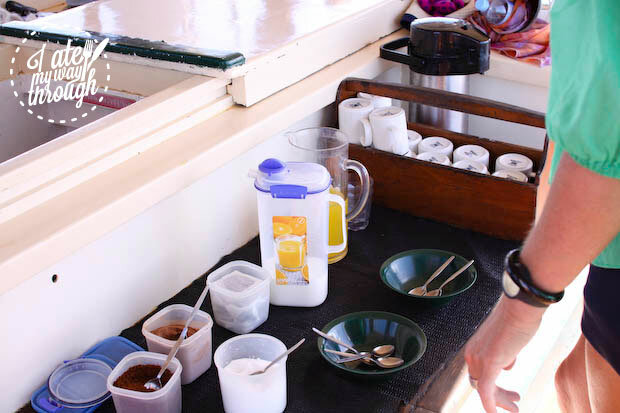 It isn’t long before the crew declare it is time for morning tea! 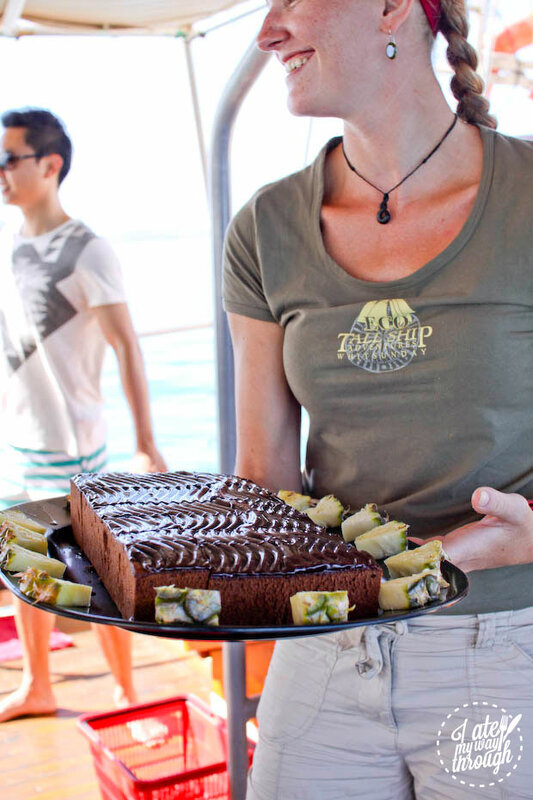 Giant blocks of chocolate cake are passed around and we help ourselves to an exquisite fruit salad, juice, tea and coffee. 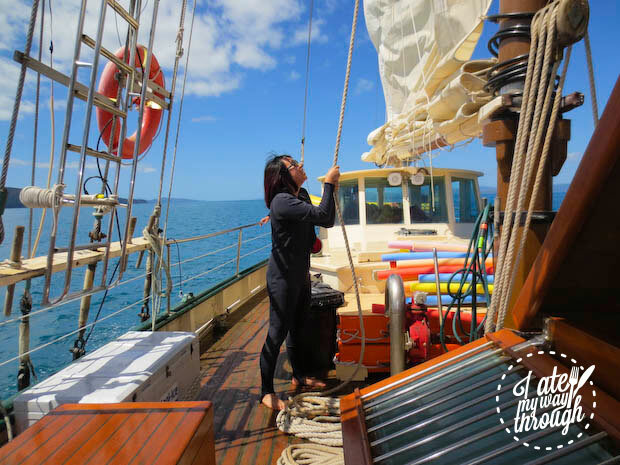 There is plenty of time for sun-bathing and many opportunities to help the crew with raising the sails. After a close call with rope burn, I decide to leave it to the boys. It is smooth sailing all the way. For those who struggle with disconnecting from online, I can happily report that there is decent phone and internet coverage all day. 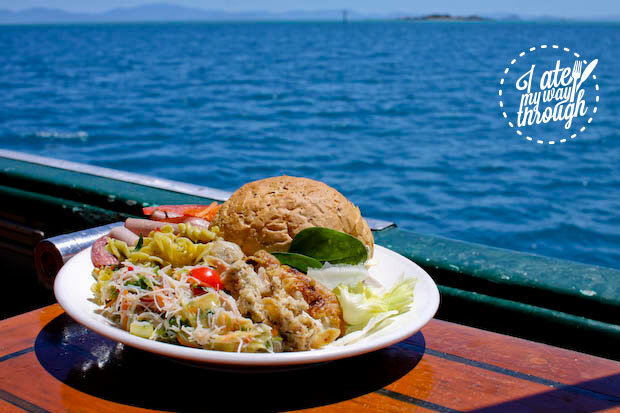 Snorkeling gear, stinger suits and noodles (for the less confident swimmers) are all conveniently supplied. First stop is a private mooring at Langford Reef. 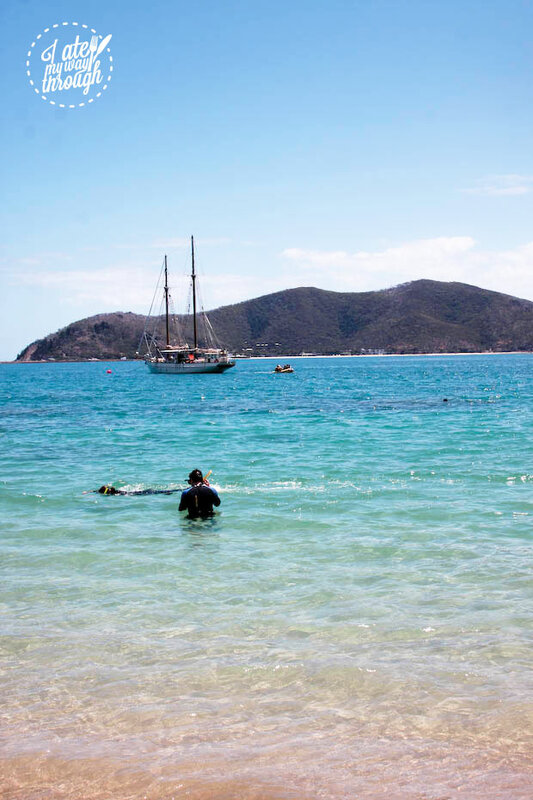 As you can see, it’s absolutely pristine; the crystal clear warm waters are perfect for snorkeling. 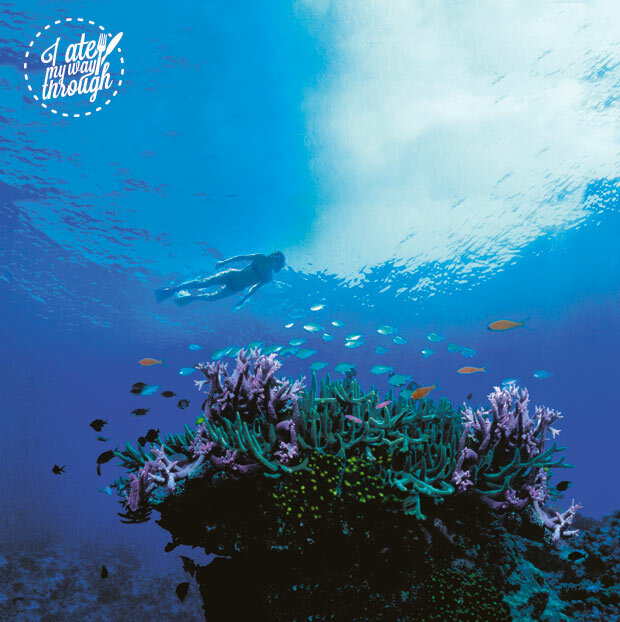 The Queensland sun casts an alluring light over the coral reefs, sprinkling it with shimmering rays of the rainbow. I love how untouched and remote the reef feels, there’s just a small handful of people spread out afar and the dozen or so from our ship. Yes, we are aware Zen somehow got his stinger suit on back-to-front AND inside-out! 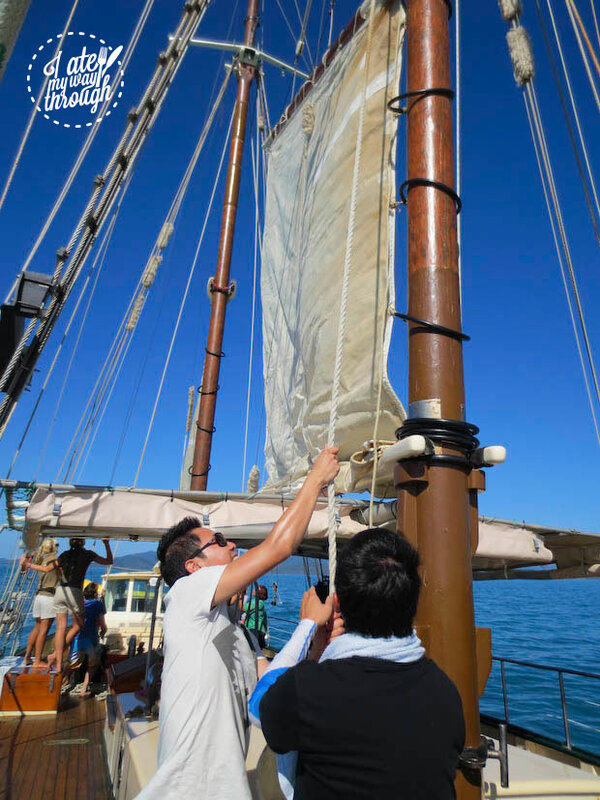 The ship is an enchanting sight from the sand, it is ashore that we can completely admire the full timeless glory of its masts and topsails. Unfortunately, due to a mishap with not fully charging our Go-Pro, my hopes of capturing any underwater magic quickly washes away. On the brighter side, I was able to ‘enjoy the now‘ without the distractions of a camera. ‘Live in the moment‘, as my new motto says. 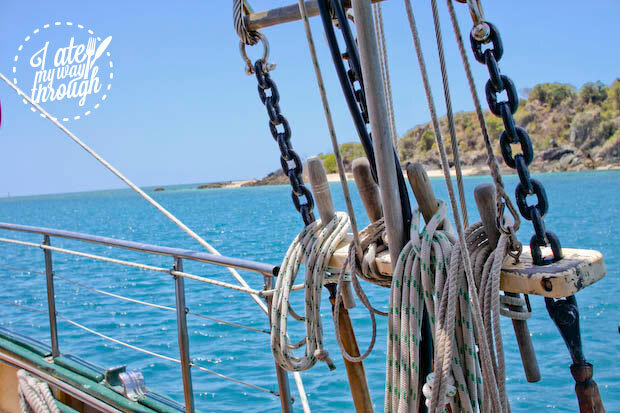 With the help of a small tender boat, we hop back onto the ship and sail to Black Island (also known as Bali Hai). Excitement gathers as several snorkelers detail the sea turtles they spotted. 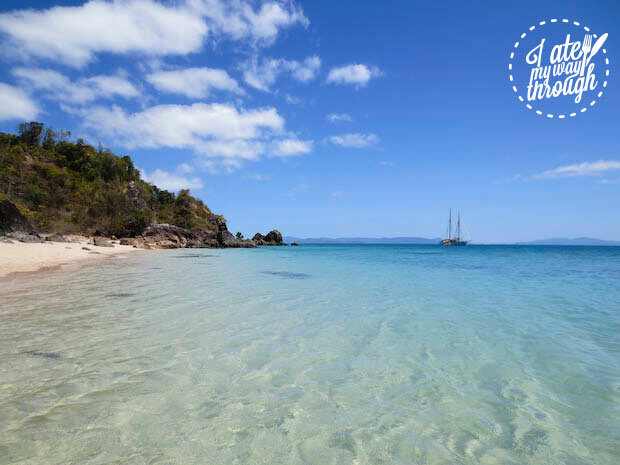 Regarded as one of the Whitsunday’s best kept secrets, the water clarity at Bali Hai is even more spectacular. Although no turtles are spotted on this occasion, the abundance of fishes and unspoilt coral reefs are even more majestic. For a while, I just stand here, with the soft sand massaging my feet. My surroundings are too exquisite to be real and it takes time to realise how lucky us Aussies are, to be able to effortlessly access destinations such as this. All too soon, the crew flag that it’s time to head back to the ship where a hearty smorgasbord lunch is served. 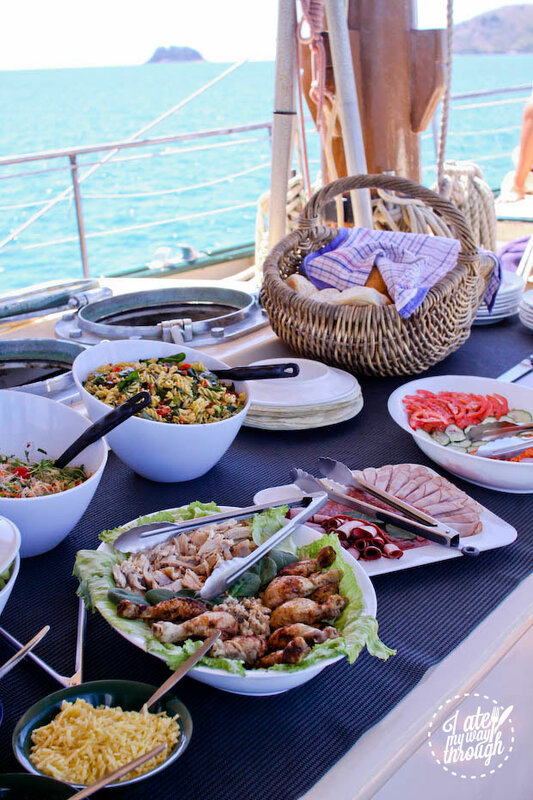 There’s a Thai vermicelli salad, a pasta salad, platters of freshly cut cucumbers, tomatoes and carrot, roast chicken, cured meats, bread rolls and wraps. 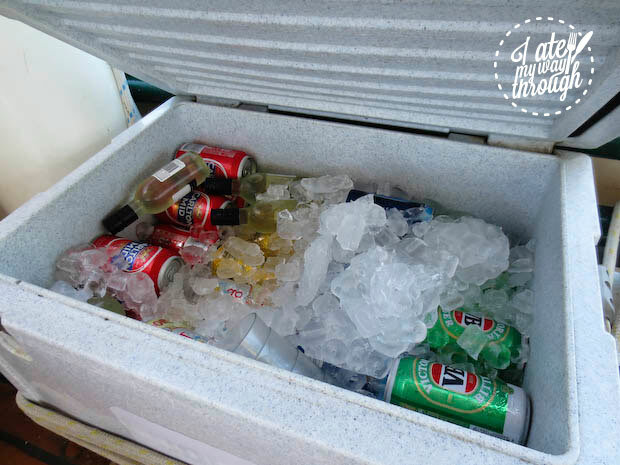 Beers, wines and soft drinks are an additional cost and there’s an easy prepaid coupon system in place so we don’t have the hassle of carrying around cash onboard. You can exchange the coupons back to cash at the end of the day if you don’t use it all. 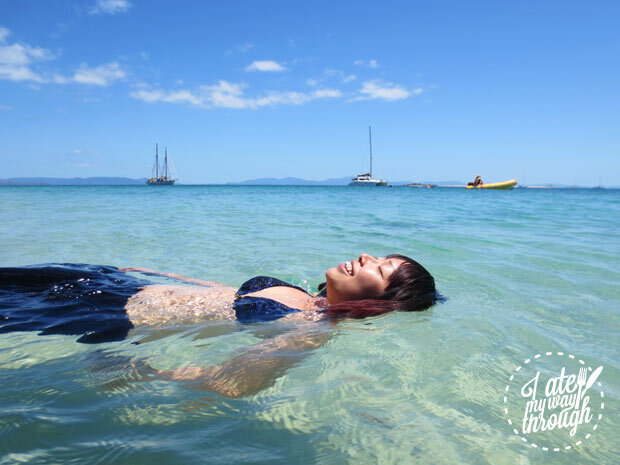 By the afternoon, it’s hard not to doze off with the warmth of the afternoon sun and the fresh Whitsundays breeze. 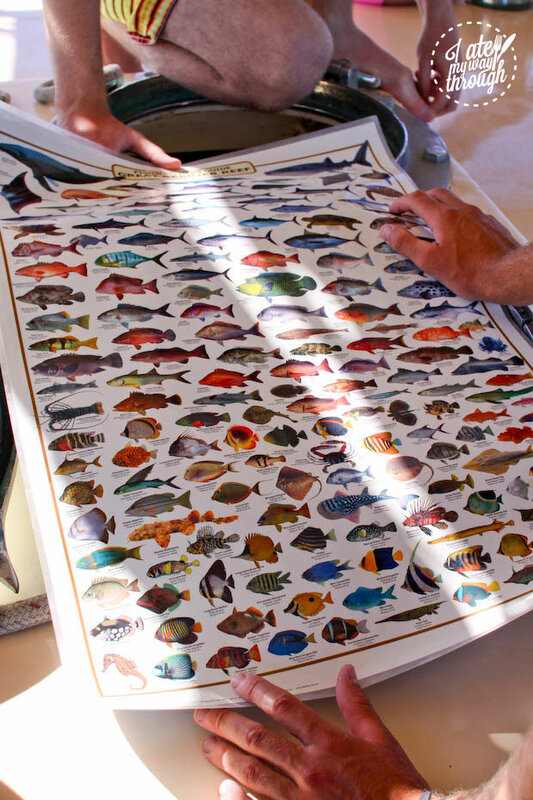 For the moment that I do stay awake, we gather around a fish chart and identify the various species we’ve spotted throughout the day. We’re enlightened with interesting facts such as the octopus’s ability to change its appearance to hide from predators and prey. A master of disguise, an octopus can instantaneously match the colours, patterns and texture of its surroundings and some species are even capable of impersonating other sea animals to avoid or intimidate predators. But no, I didn’t see an octopus while snorkeling. As we chat about all the kinds of underwater life we’ve spotted, afternoon tea is served. 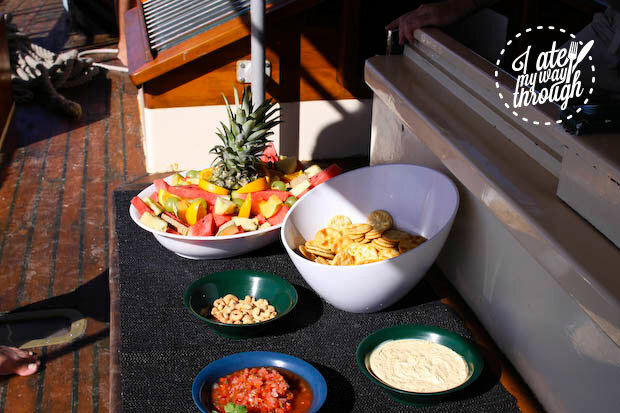 There’s a zesty homemade salsa, dips, nuts, crackers and another fruit salad. As per itinerary, we arrive back at Airlie Beach by 4:30pm. 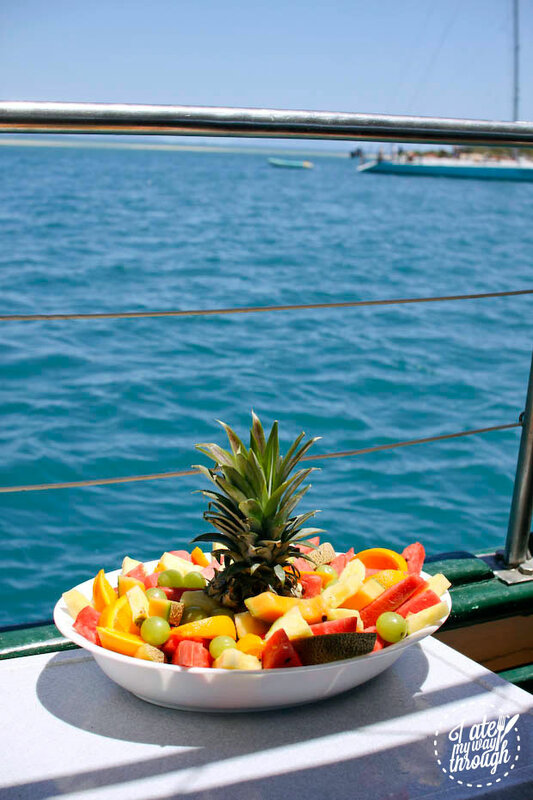 It is indeed a very well organised affair, from the catering, to the sailing. 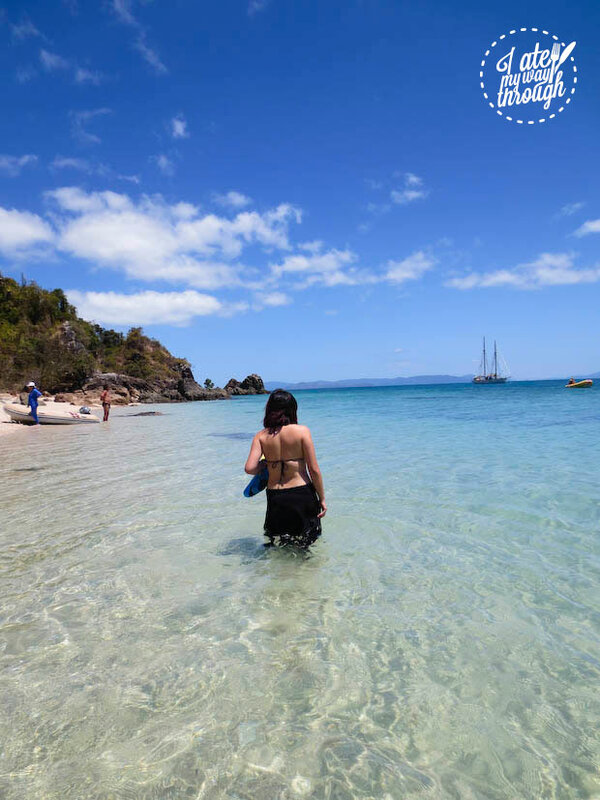 Sailing and snorkeling at the Whitsundays is justifiably on a lot of people’s bucket list, and a day adventure on the Derwent Hunter is definitely one of the best ways to do it. This experience is right up there as one of my most memorable moments of 2013. 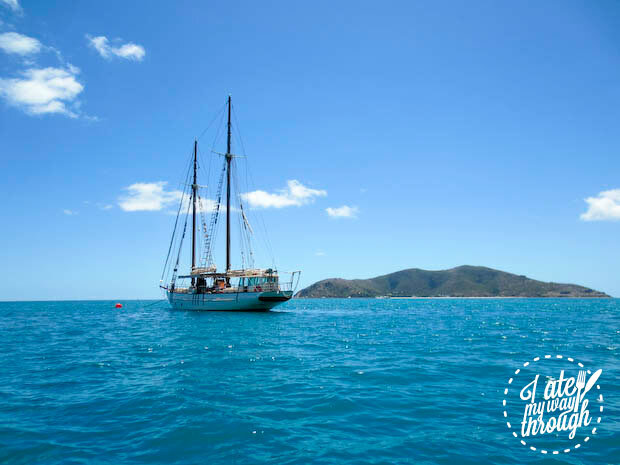 The Derwent Hunter departs from Airlie Beach (Abell Point Marina) at 8am, returns 4.30pm daily (except Tuesdays). Previous articleCuring the inevitable New Year’s hangover! 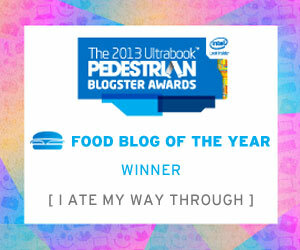 iatemywaythru awesome blog post cheers for that!